All of the homes, apartments, condominiums, hotels and resorts in Surfside are within walking distance of world class shopping, fantastic public beaches, a number of public parks, playgrounds, tennis courts, and recreational facilities including a new Community Center and Aquatics Facility. As a place to live, or as a destination for visitors of all ages, Surfside is amongst the world's best places to be. The Town of Surfside encompasses the area from 87th Terrace to 96th Street, and it is situated between the City of Miami Beach to the South and the Village of Bal Harbour to the North. Surfside has earned a truly superb reputation as a family community and destination, offering a wide range of accommodations, resort facilities, shopping opportunities and leisure activities. Surfside is also within easy range of all of South Florida's world renowned attractions. For the very best in a community and destination for all of the amenities and activities available under the sun - and the moon - discover the wonders of Surfside, Florida. Surfside has about a mile of public beach that will rival any beach in the world. Surfside's beaches are peaceful, clean, pleasant, safe, and free of commercial intrusion. 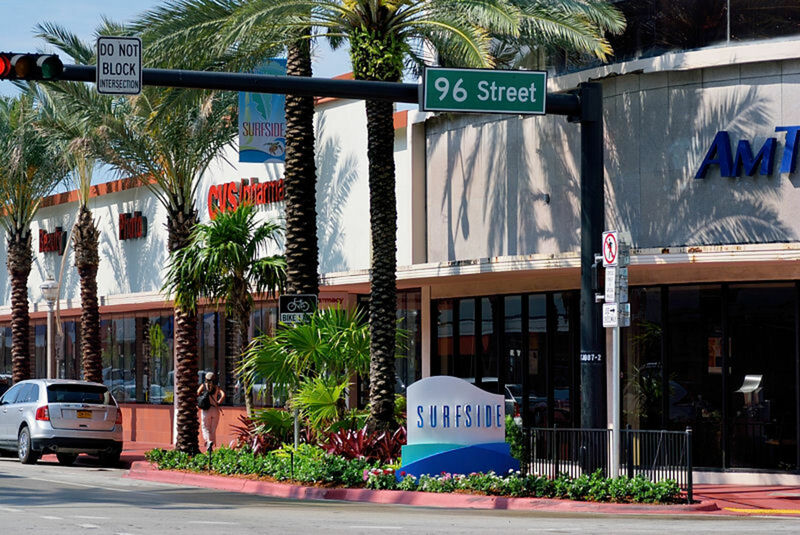 Surfside has its own wonderful business and commercial district with fine restaurants, all reasonably priced, and a great variety of stores and services. Hotels and resorts provide accommodations for all tastes and budgets.